Founded in 2010, Andesign, Inc. is an award-winning, internationally published full-service interior design firm with locations in La Jolla, California and Shanghai, China. From two different continents and through divine intervention, Founder and Principal, Dana Wang and Senior Designer, Emily came together in Southern California only to discover that they speak the same design language. Ms. Wang's career caught fire when she was featured on the cover of Interior Design Magazine, 2012 China Edition. Collectively, Principal and Senior Designer have been featured in Modern Luxury Magazine's San Diego Edition as 'Women To Watch'. Andesign specializes in high-end residential, commercial design, model homes and luxury staging with the belief that each project should be uniquely defined. 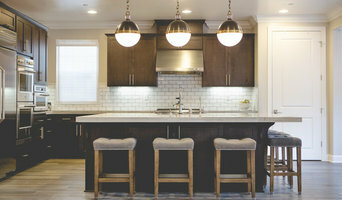 San Diego Boutique Interior Design Firm - Best of Houzz! 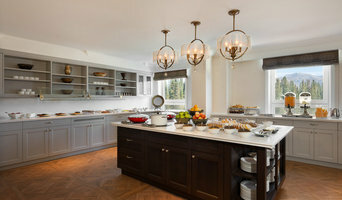 We curate spaces that speak to the unique individuality of our clients, and as a full-service interior design firm we provide a concierge level of services that are tailored to fit the specific needs of each client. Where our surroundings are rich with beauty, and provoke a sense of comfort and joy that is best described as home. Our approach to design is simple; rooted in the believe that there is immeasurable value in creating environments that function with ease and efficiency. From concept to completion we help our clients define their dream home, then make it a reality. Gatling Design, Inc. is a full service interior design firm. We have a combined 40+ years of experience working on all types of projects from a small bathroom remodel to full house near tear down renovations. Our broad experience allows us to tailor the design of your home to your individual tastes. By melding your wishes, the architecture and the practical requirements of a modern home, we fashion a completely unique design for you. Each project is different, just as each client is different. We take the time to learn your wishes for your home. Knowing how you and your family live will help us develop a solution to both complement and enhance your life. You deserve and will receive the personal attention of the principal designers in the firm from project conception to completion. We know the remodel process can be daunting and we will be there every step of the way from initial planning, to obtaining permits, selecting contractors, all the way through construction and putting on the finishing touches. Design Theory Studio is a full-service Interior Design firm specializing in luxury residential interiors. Whether it is ground-up new construction, a remodel, or simply providing furnishings and accessories, founding principal designers Audra Siao and Stephanie Hamilton bring a unique touch with their individual styles as well as a trained eye and fresh perspective. As a team, we focus on each project carefully, paying close attention to each client’s unique personality, lifestyle, and design goals in order to achieve a cohesive design resulting in timeless, refined interiors. Working closely with architects, contractors, and other trade professionals is an integral part of our design process, which allows us to complete each project seamlessly and successfully. WELCOME TO ANDREA MAY HUNTER / GATHERER INTERIORS Andrea May Hunter/Gatherer was founded in 2004 in La Jolla, California. Our guiding philosophy is quite simple: A timeless, well-designed house can be the foundation for a wonderful life. Our firm is predicated on the concept of Slow Luxe Design, which is like the farm-to-table of design. We tell our clients’ stories through thoughtful curation and mindful procurement of artisanal, vintage, antique and handcrafted items, along with some relentless editing. We work collaboratively with our clients, architects and craftsmen to create spaces that are sophisticated and inspiring, eclectic, timeless and completely livable. We may be working with stone, wood, tile, textiles, furniture, antiques and art as we go, but we always strive to keep track of the human being in the spaces we design. In 2018, we endeavor to bring our Slow Luxe design philosophy to the forefront of everything we do, weaving it into every project we touch. It's part of our DNA. What is Slow Luxe Design? It’s the intersection of a thoughtful process and a signature style that balances the modern with the traditional to create an unexpected blend of colors, styles and periods. It's a bespoke design and curation service that allows us to thoughtfully select artisanal, vintage, antique and handcrafted items to blend with your personal collections to help us tell your story. As we work with and edit your personal treasures, we assist you in selecting inheritable objects to create your personal design story. The result is an interesting and unpredictable mix that reflects you and stands the test of time. We curate conversational spaces for travelers, collectors, readers and dreamers. For those who seek a thoughtful, collaborative design experience resulting in inheritable spaces, we’re happy to offer Slow Luxe Design. A full service Interior Design firm enriching lives through beautiful spaces for live, work, + play. A good home design professional will hone your style down to its very essence and be able to choose a functional layout that feels natural to you. Interior design companies can be involved as much or as little as the client desires. Many clients who hire an interior decorator in La Jolla, CA — particularly those who are remodeling — have a good sense of how the room should look and what products they should use. Often clients will insist that interior decorators use the products already present in the house. Other times a designer will need to start from scratch — especially if this is a newly purchased or just-built home. An interior design company will need to figure out exactly what the client needs, which includes organizing rooms, picking flooring and wall colors, and finding furniture to complement it all. 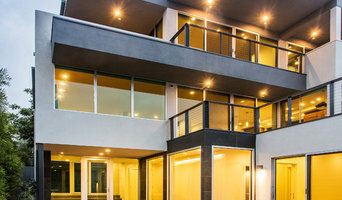 Sometimes that means he or she will have to recruit help from other La Jolla, CA home professionals to help create the perfect look for your renovation. Here are some related professionals and vendors to complement the work of interior designers & decorators: Architects & Building Designers, General Contractors, Home Builders, Design-Build Firms, Photographers. Do your research before meeting with an interior designer or home decorator in La Jolla, CA. Ask yourself what you want your space to become and what it will be used for. Figure out the extent of what you need help with, what your must-haves are and what your budget is. Interior design services can add up fast, so be up front with a potential design firm or individual from the beginning. Also, pick an interior decorator that fits your style. Browse through the portfolios of different La Jolla interior design firms and decide if you would live in those houses. Just because you like something doesn’t mean you could live in it. There's a big difference! Find an interior designer or home decorator in La Jolla, CA on Houzz. 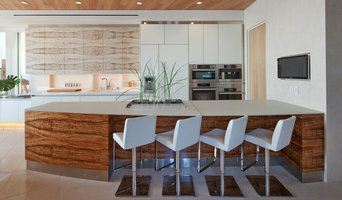 Narrow your search in the Professionals section to find La Jolla interior designers near you. You can also look through La Jolla, CA photos to find a room you like, then contact the design firm who designed it.